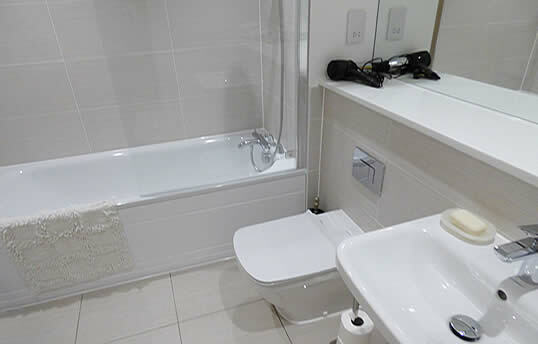 Prestige Apartments specializes in business and corporate lets, offering rental properties for businesses of all sizes, as well as educational establishments, hospitals, corporations and other large organisations. We can provide a wide selection of 1, 2 and 3 bedroom properties in the prestigious Ocean Village marina complex close to Southampton centre; as well as one and two bedroomed rentals in the nearby, up-and-coming, Chapel Riverside area of the city. These new build business apartments are fully furnished and are equipped with quality appliances. A full range of benefits come as standard, with additional services available on request. Business services such as WiFi/internet connection and secretarial services are available making the apartments ideal corporate or business lets. In Ocean Village we've acquired several apartments in the same block so that bookings can be made to place employees close together if required. 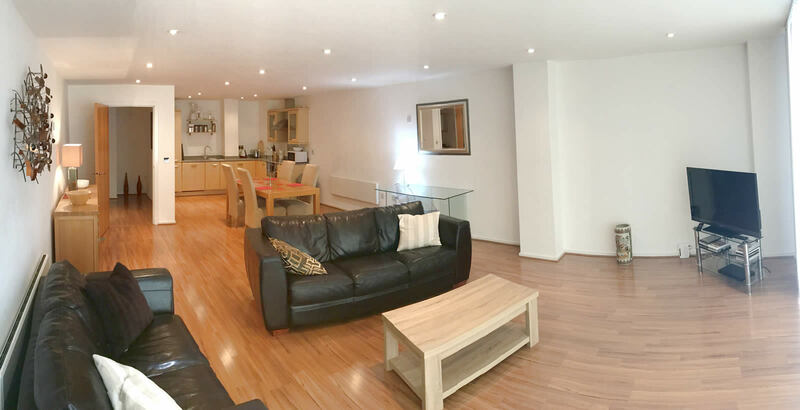 These apartments are offered through our sister company, Prestige Corporate Serviced Apartments, who specialize in corporate and business lets to companies and organizations in Southampton and Hampshire. Visit the Prestige Corporate Serviced Lets website now! Our newest apartments are in the Chapel Riverside area where we can offer 1 and 2 bedroom properties at rates lower than the Ocean Village apartments – starting at £79 per night for a one bedroom apartment and £89 per night for a two bed apt. Do you book staff accommodation? If you're an accommodation buyer seeking properties in Southampton for employees and staff please get in touch and deal direct with Prestige. One quick phone call could sort out your staff accommodation needs. Prestige Apartments provide Southampton corporate lettings that are ideal for modern executives working locally, on short or long term contracts. Take the time to browse our website to check out some of the prime locations in which our beautiful furnished apartments are located and find out more about our exclusive services for business tenants. We can offer the short or long-term corporate lettings needed to meet your business objectives. You will discover your executives are far happier staying in a spacious, luxury apartment than they would be in a cramped and bland hotel room. What's more, corporate lettings Southampton offer the added benefit of providing all the space needed for entertainment and relaxation. It's far easier for any executive to entertain business clients or colleagues in the privacy of an exclusive apartment than to meet in local restaurants or bars. A private, luxurious space can improve productivity and creativity; the perfect place to get the most out of your business trip. There are many more reasons to opt for the stylish, corporate furnished homes offered by Prestige Apartments for longer business stays. You can read about them here or view our testimonials. Choosing corporate lettings from Prestige Apartments means you're opting for a family-run lettings agency, with a real handle on what's needed to keep business tenants happy. Our landlord credentials stretch back decades, so we have an appreciation of just what temporary rental tenants are seeking. These stylish one, two or three bedroom apartment homes are ideal for executives. Due to easy transport access, these apartments are also suitable for those traveling into Portsmouth. They are in a superb location, overlooking the Southampton Marina and offer lots of lifestyle benefits to all our corporate clients. We have a number of apartments available in the same residential block, so, if you're seeking corporate lettings Southampton for a number of employees, we can ensure that apartments are close together. These modern apartments are fully furnished and offer all essential appliances and car parking. Services include weekly cleaning and maid service, alongside shopping, dry cleaning, ironing or laundry services, if required. Chapel Riverside is the latest addition to our portfolio of stylish corporate lettings and offers our executive tenants even more variety. These luxurious apartment homes are ideal for business clients seeking both short term or longer term lets and provide all the amenities of home. More Reasons To Prestige For Your Corporate Letting Company? We have 24/7 representation at all our apartment complexes because we understand it's important to address any problems as soon as they occur. We are the premier corporate lettings company in the Southampton and Hampshire areas. Living in our stylish apartment homes offers our business tenants access to a wide range of business support services, including secretarial support and business WiFi. This can make it much easier to stay on top of all the essential corporate tasks that need to be completed. Take the time to view our image gallery to check out the superb corporate lets we offer to business clients. We are more than happy to discuss your corporate letting needs in detail and create a bespoke let that suits you or your company. Do not hesitate to get in touch to talk about your specific organisational requirements for corporate lets in the Southampton area.